Stanley Lambchop is the world’s favourite flat boy! 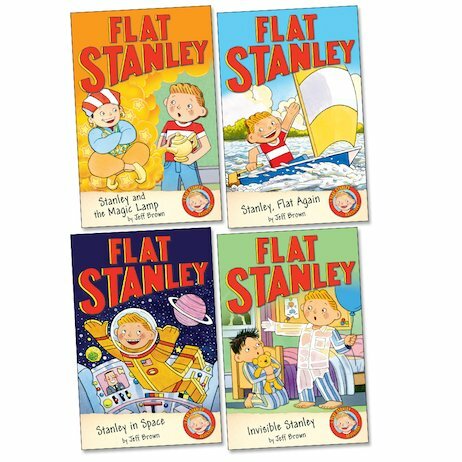 He can be posted in the mail and flown like a kite – but being flat is just the start of his adventures! He gets to blast off into space, he makes friends with a genie from a magic lamp, and he even gets to turn invisible. There’s simply no one else like Stanley! Exciting, fast-paced and brimming with imagination, these much-loved classics take you to all kinds of thrilling places where you’ve always secretly wanted to go.